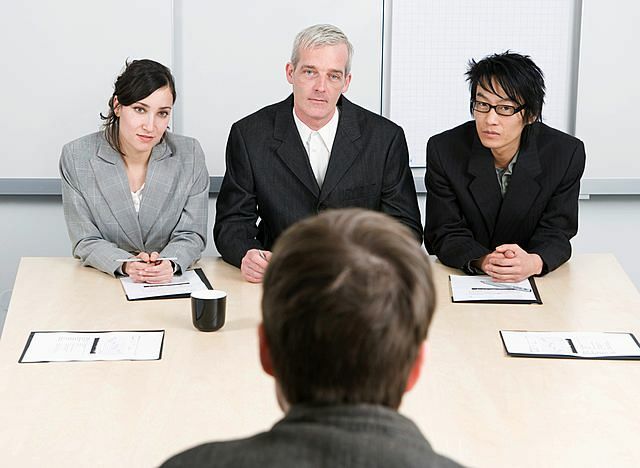 Are you prepared for a behavioral based (Star process) interview process? More and more organizations are utilizing the Star Approach or Behavioral Interview process to assess candidates on the key soft skills essential to success, cultural fit and team assimilation. Provided are a complete list of potential questions and categories to allow you to do a self-assessment on your ability to perform well in this setting. How well will you do in your next formal interview? Check out our guide on how to answer behavioral interview questions, and then use this list as a “study guide” of sorts to make sure you are as prepared as possible! How did you go about making the changes (step by step)? Answer in depth or detail such as “What were you thinking at that point?” or “Tell me more about meeting with that person”, or “Lead me through your decision process”. Give an example of a time when you helped a staff member accept change and make the necessary adjustments to move forward. What were the change/transition skills that you used. Give an example of how you have been successful at empowering either a person or a group of people into accomplishing a task. Tell us about a time when you had to take disciplinary action with someone you supervised. Tell us about a time when you had to tell a staff member that you were dissatisfied with his or her work. Tell us about some demanding situations in which you managed to remain calm and composed. There are times when we are placed under extreme pressure on the job. Tell about a time when you were under such pressure and how you handled it. Describe how you prepare for a sales call for a new client. How have your sales skills improved over the past three years. Tell us about your most difficult sales experience. Tell us about your sales volume over the past three years. What have you done to influence it? What were your annual goals at your most current employer? How did you develop these goals? What were your long-range plans at your most recent employer? What was our role in developing them? Please give your best example of working cooperatively as a team member to accomplish an important goal. What was the goal or objective? To what extent did you interact with others on this project? Tell us about the most difficult situation you have had when leading a team. What happened and what did you do? Was it successful? Emphasize the “single” most important thing you did? When was the last time you were in a crises? What was the situation? How did you react? Great article. I was born and grew up part of my life in Canada. After living in the U.S. for 25-years and returning to Canada a decade ago for a short time – I was amazed with the difference in the job search process. Before this recession started and while we are in it at this time – I am seeing what I seen in Canada when job hunting quickly being incorporated into the US culture in all environments. An example – I was amazed that in Toronto you needed a resume without an error anywhere to work at a Burger King. I also noticed everybody had two resumes. One with their Master’s Degree and one to drive a taxi. Alex, I counted them. There are 610 questions in your list, which makes it THE exhaustive list of behavioral questions. Great work. Thank you. The list is not only great prep for both the interviewer and the interviewee, it’s one of the best idea generators for consultative sales professionals to use in their exploratory, first customer meetings, where problem discovery is the objective. Just 3 or 4 of your questions, properly tweaked, would unearth all sorts of issues. Can you also give 610 sample answers? Some I can figure out on my own but then some are stumblers. If you ever want to run a mock interview with some critique, let me know. Very helpful to help prepare for the interview process. I have a telephone interview in the next few days and I feel confident knowing the kind of questions which will be asked, Thanks for your time and effort which was put into this. Great to know the full list of questions. However, no interview would cover all of this list. I believe it would be wise to concentrate on the key questions that would be asked say 10-12 max. Also, helpfull to provide some examples of how to attain a positive outcome by listing some positive expected replies as opposed to the negative ones. Thanks.